DESCRIPTION: Leaves, stems and flowerbuds are covered in a clogging thick yellow-white woolly mass (erinea). The affected areas are deformed. Mites are found within the erinea. DISTRIBUTION: Uncommon. Best from June until August. 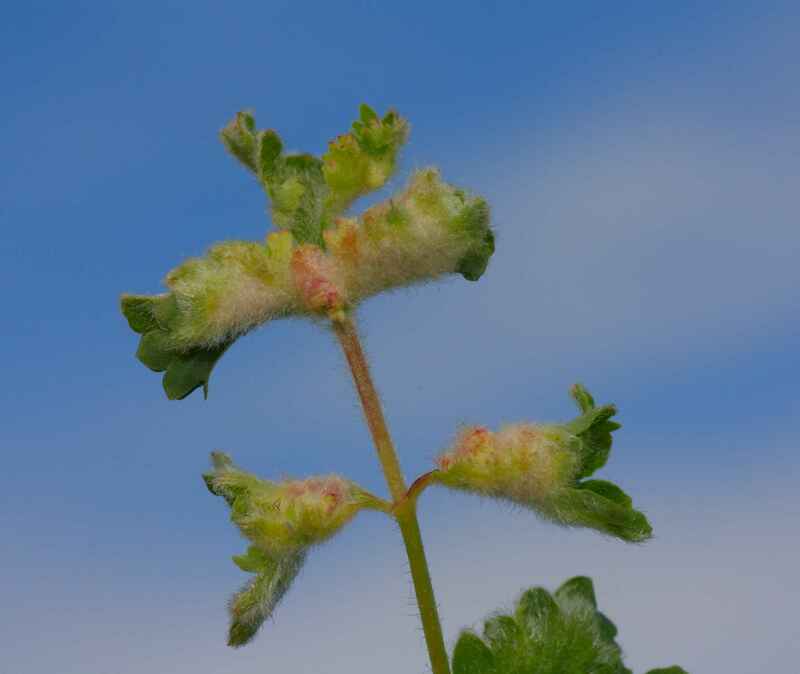 HABITAT: On leaves of Great Burnet and Salad Burnet.